Mark S. Jordan Companies has earned a high level of respect in the markets it serves. Behind the successful corporate reputation is the man Mark Jordan, who continuously demonstrates leadership not only in building, residential and commercial development, but also in service to his community. Quite simply, Jordan believes in making the world a better place to live. He believes in making a difference. His personal commitment to his profession, to his home state and to his neighbors has led him to receive numerous awards and appointments on local, state and national levels. Most important, the awards have come through hard work and high standards. His involvement signals a push for positive change and constant improvement. Whether he's creating places for people to live or work, helping with a school relocation or serving as an advisory board member, he inspires through his fresh ideas, effective problem solving and diligent stewardship of natural and community resources. 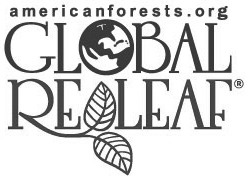 Jointly awarded by the American Forestry Conservation Group and the National Homebuilders Association, only 19 Global ReLeaf Awards have ever been given to a United States developer. This award was based on the development of approximately 12 acres of green space in the 350-acre Dinsmor neighborhood, as well as Mark S. Jordan Companies' preservation of many native trees. Builder/Architect magazine saluted Mark S. Jordan Companies for advancing the quality of residential development and building practices in Mississippi with his hallmark development of Dinsmor. In recognition by the Homebuilders Association of Jackson for exceptional performance. This annual award recognizes high-achieving professionals in Mississippi who are under the age of 40. Dinsmor has been recognized for its master plan and its amenity package.